A GoFundMe page has been set up to rescue Hollywood astronaut and Mark Wahlburg impersonator Matt Damon, after he became trapped on Mars shooting Ridley Scott’s latest blockbuster, The Martian. Now don’t panic, Matt Damon is probably not on Mars, but a GoFundMe page to rescue him has still been made just in case. Concerned fan Kyle Douglas M. was aiming at somewhere in the region of £65million to bring his boy home. The project has currently raised nearly £33. 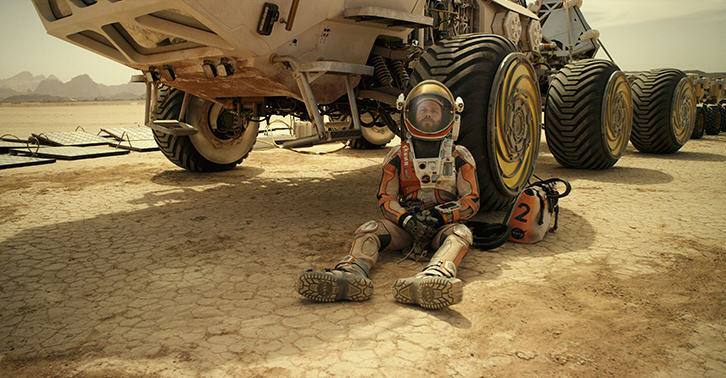 One of the greatest actors in Hollywood is currently trapped on Mars after a failed exploration. 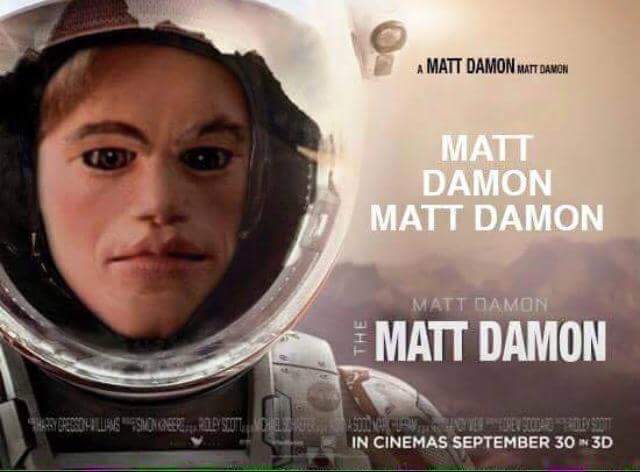 We need Matt back on earth because he is due to be in another “Bourne” movie. Matt is also a loyal friend to another Hollywood great Ben Affleck who needs Matt Damon’s support as he goes through a divorce. Failing to bring Matt back could be devastating to our American life and will have a devastating impact on film if we don’t rescue Matt. The Martian premièred last weekend to a good reception from movie-goers and critics alike, and focuses around Matt Damon’s character getting himself into a right pickle on Mars, and the ensuing effort to rescue him. Because The Martian was mostly filmed on a sound stage in Hungary or on location in Jordan, it’s very unlikely that Matt Damon is fighting for survival on Mars. If however he ever does get lost, that £33 could probably go towards a train ticket in the right direction and a nice cup of tea.